I loved the music at the turn of the century. Linkin Park had such a distinctive sound, but I haven't listened to much of their recent stuff. That was arguably their best music, their turn-of-the-century stuff. They were very unique when they first came out. I have their first couple albums, but like Annalisa, I haven't listened to them recently. Their last album, The Hunting Party, was a throwback to some of their heavier stuff, so you should probably consider checking that one out someday. 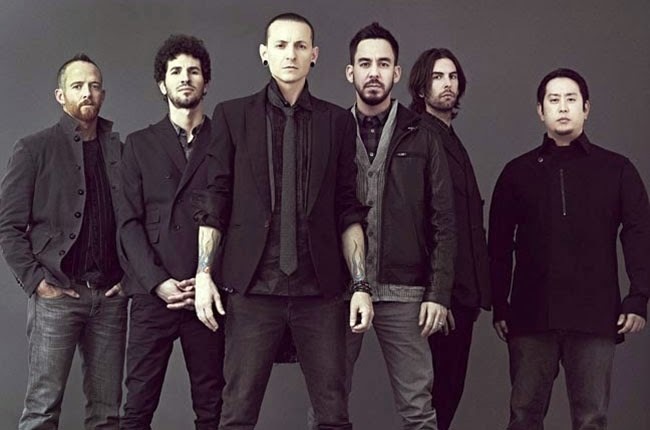 Linkin Park!!! One of my favorites. Where did they go? Another one of my high school favorites! "What I've Done" is a favorite. It's one of mine as well, and one of their few post nu metal hits. Linkin Park always reminds me of college and my first years out of college. Good times. I like Numb, and the version with Jay-Z was pretty entertaining too. Hybrid Theory is still one my most favorite albums of all time. Mine too. It never gets old, even after the rather unceremonious death of nu metal that followed a few years after its release. Which was too bad really. I felt we were on the crest of something cool.